Avengers: Infinity War is inching closer and closer to the $2 billion mark, a feat only three movies in history have managed to reach, and it seems that the superhero adventure will get some help in doing so from China. It was announced that Avengers: Infinity War was granted a 30-day release extension in China, after the movie was supposed to exit Middle Kingdom theaters this weekend. Now the movie is slated to leave Chinese theaters on July 9, which also cuts into the Chinese-mandated "blackout" of non-Chinese films, which begins in July. Extensions from the Chinese powers that be are definitely rare, but Avengers: Infinity War is actually the third Disney movie in as many years to be granted such an extension, following a pair of animated hits, last year's Coco and 2016's Zootopia. Other recent movies to get Chinese extensions include Mel Gibson's Best Picture nominee Hacksaw Ridge and DreamWorks Animation's hit The Croods. Avengers: Infinity War is currently $353.5 million in China, with the extra extension expected to push it past $370 million in the Middle Kingdom. Avengers: Infinity War's Chinese debut of $199.3 million was the second largest in Chinese history, in terms of local currency, behind last year's The Fate of The Furious, and it has gone on to easily become the highest-grossing MCU movie in the Middle Kingdom. Still, the release windows on Chinese movies are even slimmer than American movies, with their releases even more front-loaded. For example, The Fate of the Furious dropped 70.3% in its second weekend in China, which would be a catastrophic drop in the U.S., and Avengers: Infinity War dropped 71.7% in China, and was poised to exit theaters after just four frames before this extension was granted. As of now, Avengers: Infinity War is sitting at $1.974 billion globally, with $645.7 million domestically and $1.329 billion from foreign markets. One of the other big questions is whether or not Avengers: Infinity War will be able to catch another Marvel movie, Black Panther, which has held much better than Avengers: Infinity War and is still creeping towards $700 million domestic. Through six weeks,. Avengers: Infinity War's tally of $645.7 million is better than the $631.3 million that Black Panther pulled in through the same timeframe. However, Black Panther's sixth weekend of $17 million, the first weekend where it dropped out of the top spot into second place, was much better than Avengers: Infinity War's sixth-weekend tally of $10.5 million, in fourth place. 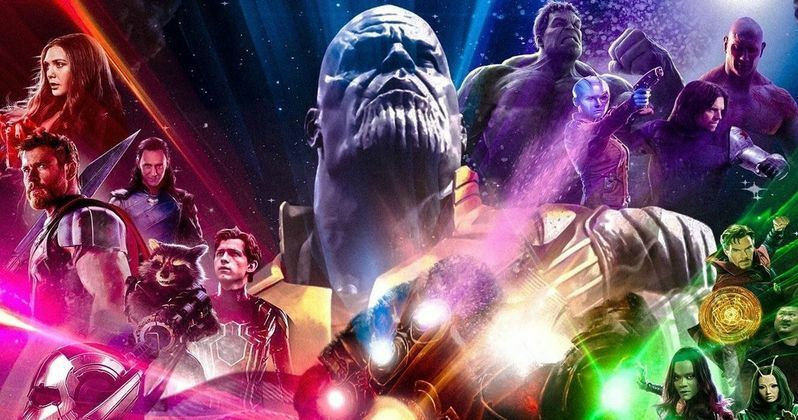 Analysts predict that Avengers: Infinity War will surpass the $2 billion milestone sometime next week, joining Star Wars: The Force Awakens ($2.068 billion), Titanic ($2.187 billion) and Avatar ($2.788 billion) as the fourth movie in the $2 billion worldwide club. It will still be interesting, though, if Avengers: Infinity War can't hold on to beat Black Panther for the top domestic spot, while achieving this amazing worldwide milestone. You can head over to Deadline for their full report on this box office extension.